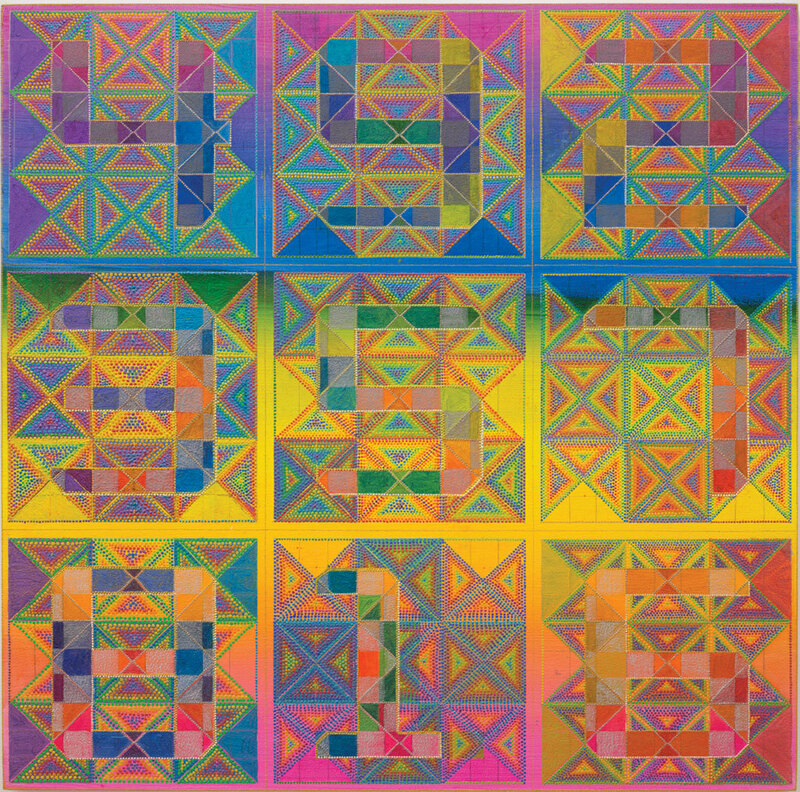 Xylor Jane, Magic Square for Finding Lost People, 2014, oil on panel, 24 × 24". Xylor Jane’s paintings are composed of delicate grids of Arabic numerals, each obediently stabled in its own square. The digits are not quivering in the air or bolting through cables or scurrying behind images. They are firm, settled. With their seemingly mechanical precision, the paintings can recall stock-ticker displays or sheets of raw data. But there are traces of the artist’s hand everywhere. All of the cells are lovingly stippled with dots—their soft-serve tips indexing the paintbrush’s release—and smudges are left in plain sight on the sides of every canvas. Jane dotes on the numbers, cossets them—even calls them “friends and family”—such that their cold, abstract, and repeatable nature is rendered material, tender, and human.